Living near Ann Arbor when you’re not a student can be annoying: there are often crowds, aloof college kids, and people screaming for no reason. It’s all just a part of residing in a college town, especially when said college’s buildings are so close to (and integrated with) Downtown. But then there’s sweet, sweet summer, when most of the student population disperses back to wherever they came from. Summer is the perfect time to check out the places that are popular with students while the atmosphere is more relaxed and, you know, just better. Quick note: if a place is popular with students, that likely means it has cheap food, cheap drinks, or a combination of both, so plan accordingly. Be sure to hit up these places for food and drink before those students get back into town -- the first day of classes is September 6th. Hot summer nights are best spent at this Ann Arbor staple, preferably on the patio. Whether you sip on its signature sangria from a Mason jar, or prefer the aptly named, secret-recipe Constant Buzz sangria, this seasonal favorite never disappoints, and perennially reminds students know spring has arrived. Drinks are clearly more popular here than food, but it’s always a good idea to grab some grub with your alcohol; luckily, Dominick’s has Italian favorites like thin-crust pizza, pasta, and bar-favorite snacks like cheesy pizza bread. Seating can be hard to come by here, even in the offseason, so go early to guarantee your spot. Beer. That’s what everyone orders at Ashley’s. What kind of beer is the question, because dozens of beers are on tap daily, and even more are available in a bottle. Whether you’re a fan of IPAs, stouts, or even cider, you’ll find it at Ashley’s. 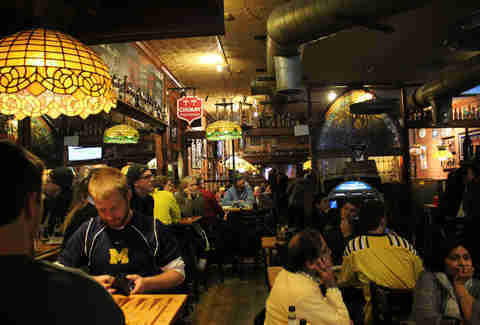 Many of the available beers come from Michigan, and of course, Bell’s brews are a given. The food isn’t what draws patrons in, but it’s no ordinary bar food, either. Sure, you’ll find old favorites like chicken wings, but there are also healthy wraps, hearty BBQ ribs, and the perennial Canadian favorite, poutine, with plenty of gravy and cheese curds. Outdoor seating is limited, but if you can grab one of the few tables along State St, you’re guaranteed premium people-watching. If Mt. Nacheesmo is good enough for Man v. Food, it’s certainly good enough for… well, that’s hard to say. It’s not like Guy Fieri showed up or anything. Anyway, it’s a ton of nachos -- 5lbs, if you want specifics. It can feed several people, or just one, if you’re up for the challenge, and have the confidence to eat all of them in less than 45 minutes. The prize? Those nachos you just ate are free, plus you get a T-shirt, and they'll put a picture of you poised in front of your finished plate on the wall. There’s also normal Mexican food like tortas, burritos, enchiladas, and amazingly fresh guacamole (that they make fresh for you tableside) if you need a meal of more than just chips. It’s hard to find a diner more authentic than the Fleetwood -- especially one that serves such perfect hangover food. You’ll think you’ve traveled back in time with one look at the striped awning or retro building. The Hippie Hash, composed of hash browns, grilled vegetables, and feta cheese with eggs served any way you like 'em, is the ideal medicine after a night of pub crawling in Ann Arbor. The other dishes on offer hardly scream gourmet, but they’ll do in a pinch, too -- omelets, corned beef, greasy bacon… you get the idea. One of the best things about the Fleetwood is its 24/7 availability, so you can get that Hippie Hash whenever your stomach demands it. 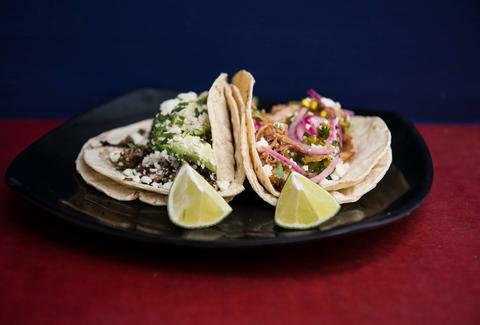 Cheap Mexican food, happy-hour deals, and Taco Tuesdays -- of course college students like BTB Cantina. The fact that it’s close to campus helps plenty of hungry students, too; it’s right above Good Time Charley’s. Burritos and tacos are equally revered here, especially with the endless selection of sauces to go with them, plus ingredients that are always super-fresh -- and fairly good prices for the quality. It’s hard to go wrong no matter which Mexican specialty you choose. 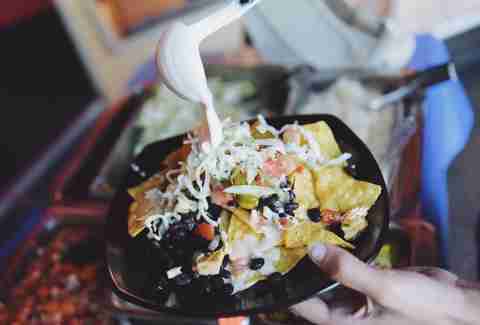 You’ll find a DJ here on the weekends, and Fridays feature an all-you-can-eat nacho bar, if that’s your kind of thing. There’s a chance Angelo’s will have a line out the door when you arrive, even without school in session, but the wait will be worth it. It only serves breakfast and lunch, none of it particularly fancy, but all of it good, especially the French toast and the raisin bread. If you don’t have a lot of time and the line’s too long, check out Angelo’s on the Side, on the, yes, side of the building. You’ll find caffeine sources plus some to-go food, including fresh breads and pastries from Dexter Bakery. 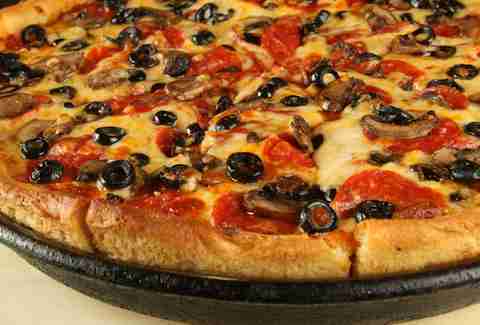 There’s no doubt that neighboring Detroit has the best chewy, buttery, cheesy deep-dish pizza. But if you don’t feel like driving the hour it takes to get there, visit Pizza House instead. Thanks to multiple levels of seating and a generous outdoor patio, there’s hardly ever a wait here. No worries if pizza’s not your thing (but also, maybe see a doctor? ); you’ll also find huge salads, multiple varieties of breadsticks, and veggie-filled chapatis on the menu. One caveat: if you don’t like the Wolverines, you probably won’t like the décor here (and why are you even in Ann Arbor?). Named for a trophy awarded to the winner of the Michigan-Minnesota football game, The Brown Jug has been around since the 1930s. 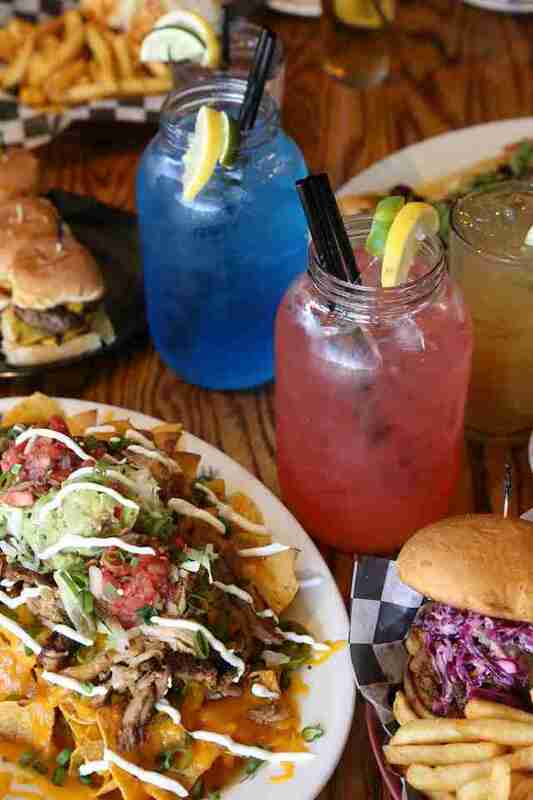 The menu has nearly every type of pub food imaginable, and so many different varieties that you’ll probably never try everything: burgers, pizzas, sandwiches, soups, salads, and desserts all have their own large menu real estate. Of course, if you’re a football fan, it might be even harder to choose, since the items named after UM legends like Tom Brady’s Gyro Sandwich and Charles Woodson’s Stacked Ham. 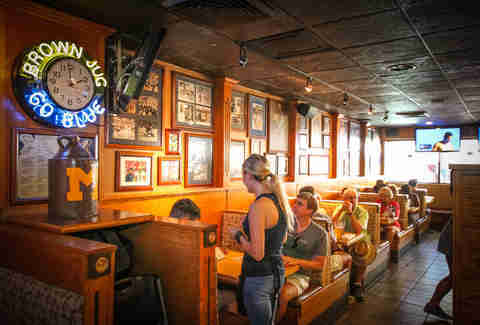 Being a restaurant near a college campus practically requires a substantial drink menu, and the Jug has that too, with cocktails, beer, and shots at the ready. The outdoor patio is where all of this is best experienced, and there are plenty of tables to go around. Elizabeth Xu is a freelance travel writer born and raised in the Midwest. Although she now lives in Ohio, Ann Arbor will always be her favorite city. She doesn’t talk about herself in the third person on Twitter; find her @ElizabethMXu. Go Blue!